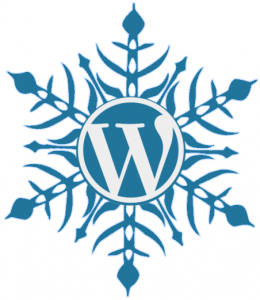 One of the beauties of WordPress as a website platform is its flexibility. There is an entire ecosystem of plugins and addons that make what was originally a simple blogging platform into a rich and exciting structure for ecommerce, marketing, and business. Each WordPress site is unique because of its set of plugins and add-ons. But one of the issues that can arise is that this same ability to to adapt, change, and customize means that no two WordPress sites are exactly the same. And sometimes, that can lead to unhappy surprises. Recently we’ve seen this happen with the Yoast SEO plugin, used on hundreds of thousands of WordPress sites. When Yoast released version 3.0, they made some fairly major changes and added features. Unfortunately, those new features caused problems for a number of users whose sites use drag-and-drop page builder plugins such as Visual Composer, or themes that include page builders. Some of the sites were completely broken, showing only text and shortcodes. Others showed “white screen of death” — a blank white screen with no website at all. A similar but unrelated issue rose with one of my clients when a security update for Woo Commerce was released. Because the security vulnerability could have caused a huge monetary loss for my client, I updated their Woo Commerce immediately in order to protect them. Oops … at that time they were running a sale that depended on a particular coupon/discount add-on for the sale pricing. The update to Woo Commerce broke the add-on and all the sale prices disappeared, leading to unhappy customers (“Why didn’t I get my discount?”) and a very grumpy client (“I’m losing sales!”). I was able to quickly switch to a different add-on, but it made a bad impression on the client and on the client’s customers. My client and I both pride ourselves on excellent customer service and both of us felt we had fallen down on the job. What do these incidents teach us? In both the case of Yoast and Woo Commerce, the updates to one plugin caused unexpected issues with another. To be fair, it probably is not possible for authors and vendors of plugins — particularly plugins with a large user base — to test every possible combination to make sure that no conflicts exist before they release an update. At least some of the testing needs to happen on each site. You need to be sure that it works on your site. NO. There is a reason WordPress consultants and site managers constantly cry “Update all the things!” Hackers continue to search for ways to exploit website software (not just WordPress), and software authors constantly work to make sure their products are safe and secure while adding new features for their users. Updates are necessary for a safe and well-functioning website. It does mean that you need to be aware of the reason a plugin or theme is being updated. Is it to provide new features (as in the case of the Yoast SEO update) or is it to close a potential security hole (as in the case of the Woo Commerce update)? If the update consists of new features only, you can safely postpone upgrading. Often, the plugin author will quickly issue patches to fix problems found by early adopters. Yoast SEO, for instance, issued three patches within 24 hours of releasing version 3.0. 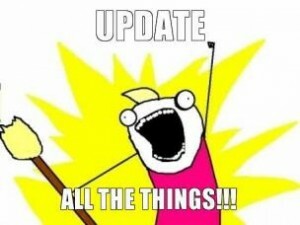 On the other hand, if the update is security-related, it’s almost always imperative to update immediately. But what if it breaks my shopping cart? The best way to handle a security update on a critical plugin like Woo Commerce is to have a separate, duplicate test site. Run the update on the test site, make sure everything works properly, fix anything that doesn’t work properly, and then apply those fixes to your live site. If the thought of all that testing makes you feel faint, consider having a troubleshooting wizard on call. Establish a relationship before you need help, so that your wizard has access to your site, knows your setup, and can jump in and help immediately without needing time to get familiar with it. Would you rather spend time fiddling with the nuts and bolts of your website — or taking care of your business? Of course you’d rather spend time on your business. It’s what you love to do and what you’re best at. I know because I love what I do too and my best is being a troubleshooting wizard. My best is making sure that your website is as trouble-free as it can be for you. Don’t you and your business deserve that? Need a website wizard? Get in touch and let’s talk before you run into a problem.